This large console table will make a great addition to your home furniture. 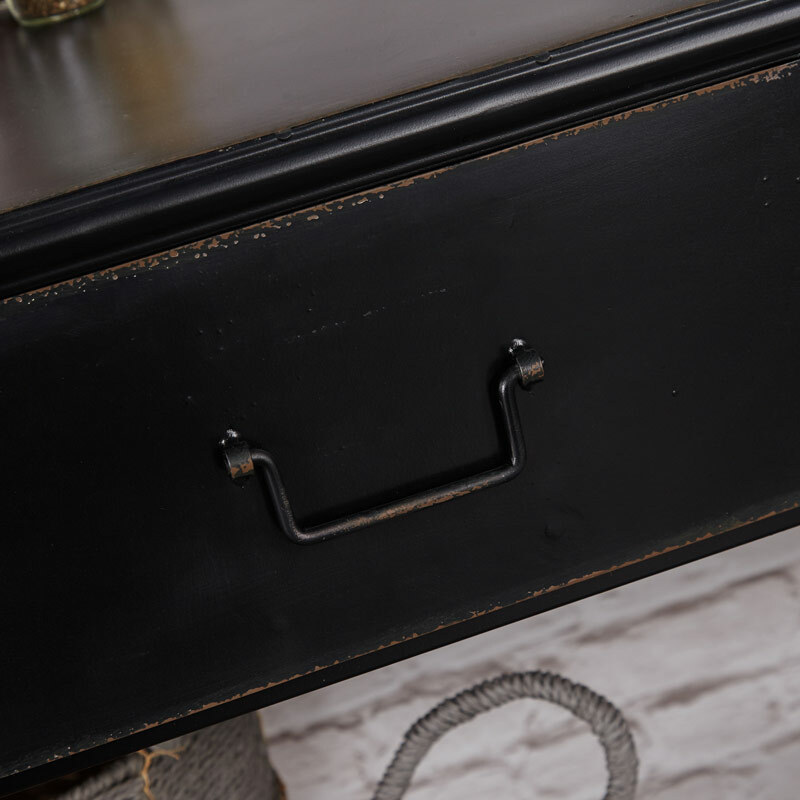 Industrial style in a rustic black painted finish. 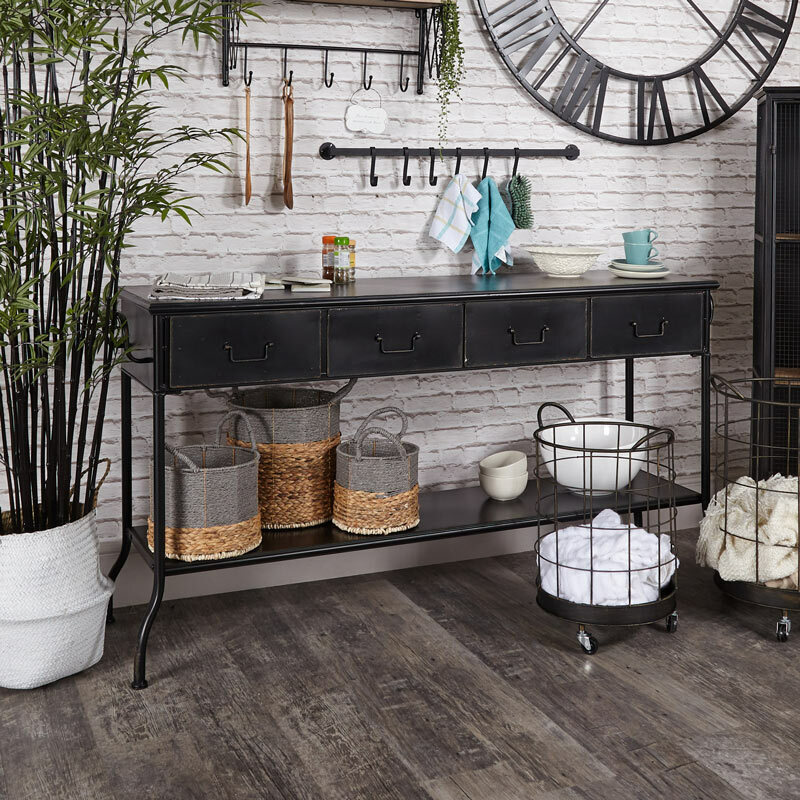 The table offers great storage with 4 drawers and a shelf below, perfect for the living room or hallway. 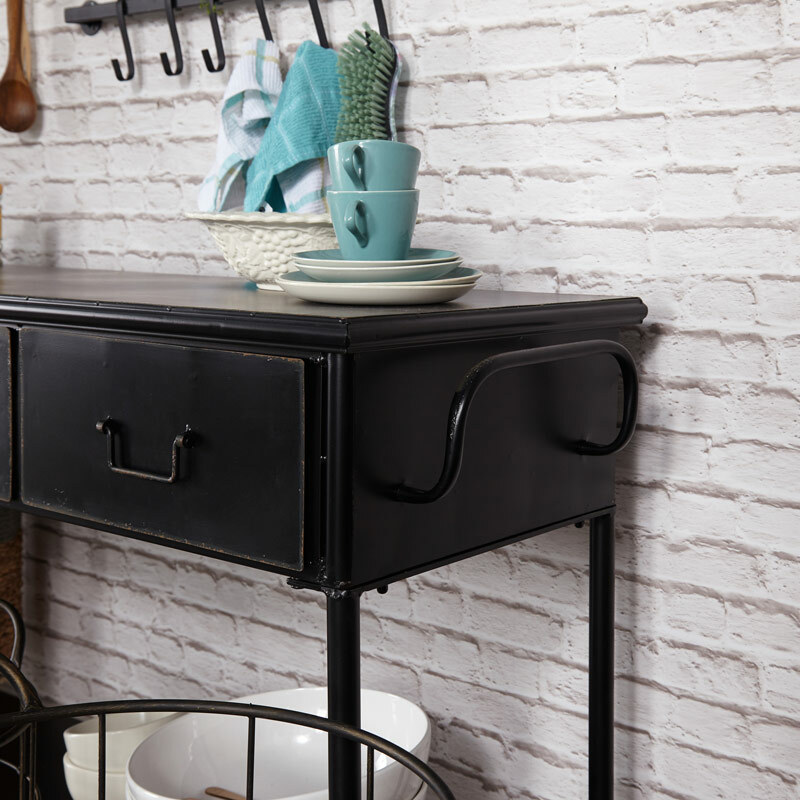 This is perfect for anyone that loves the retro, industrial look. 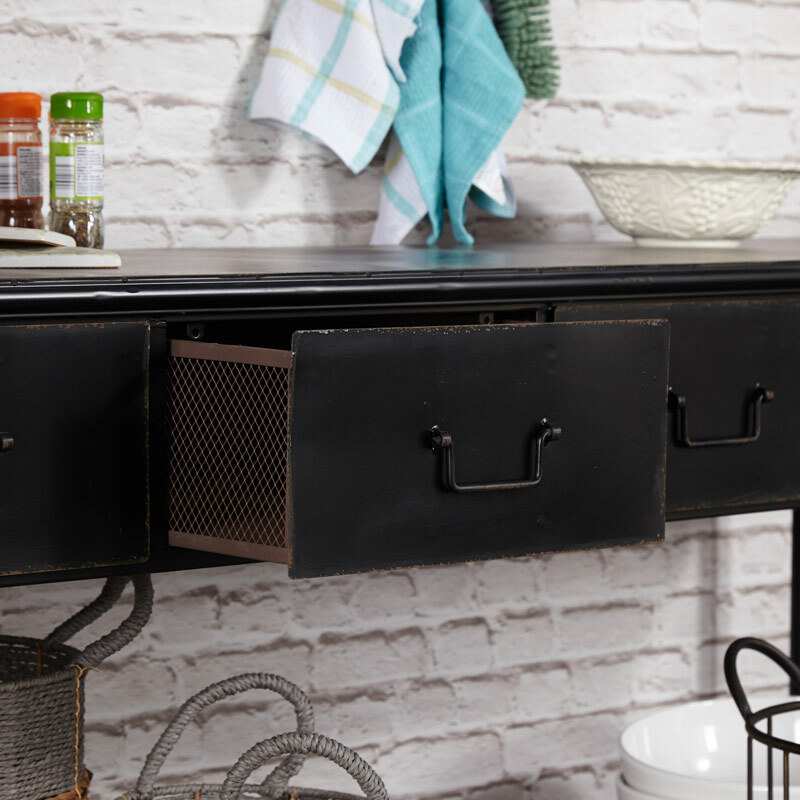 The drawers are ideal for storing away any accessories and equipment while the top and bottom can be used for displaying ornaments. Effortlessly timeless and full of that industrial charm. Just what you need for a sturdy look and your daily needs. 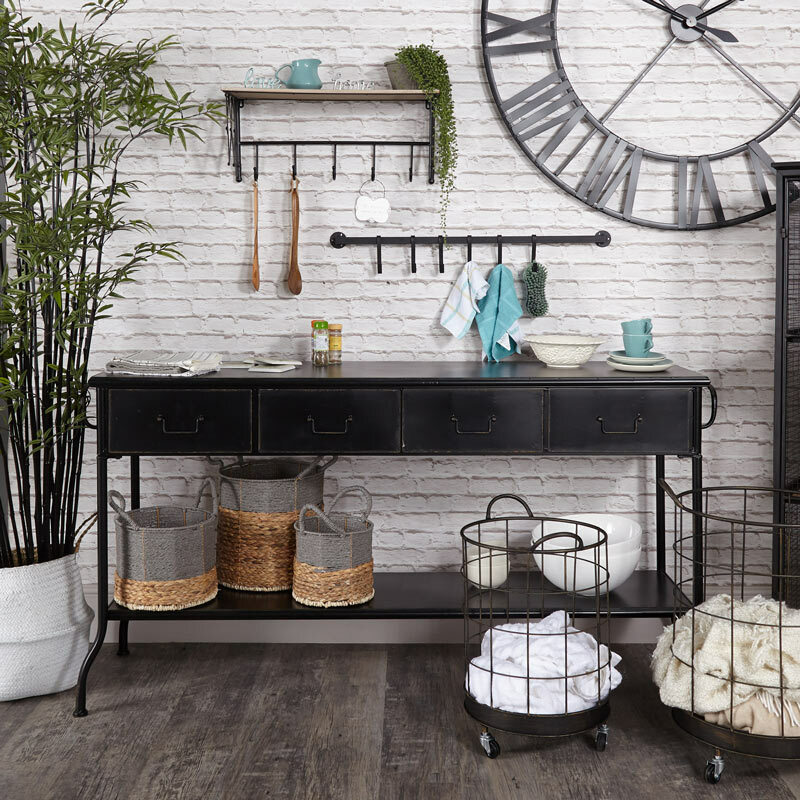 If you love this style, take a peek at our other industrial furniture and accessories to create a fantastic look for your home. The drawers have a height of 15cm, a great solution if you need additional storage for keeping certain items out of reach and off of display. 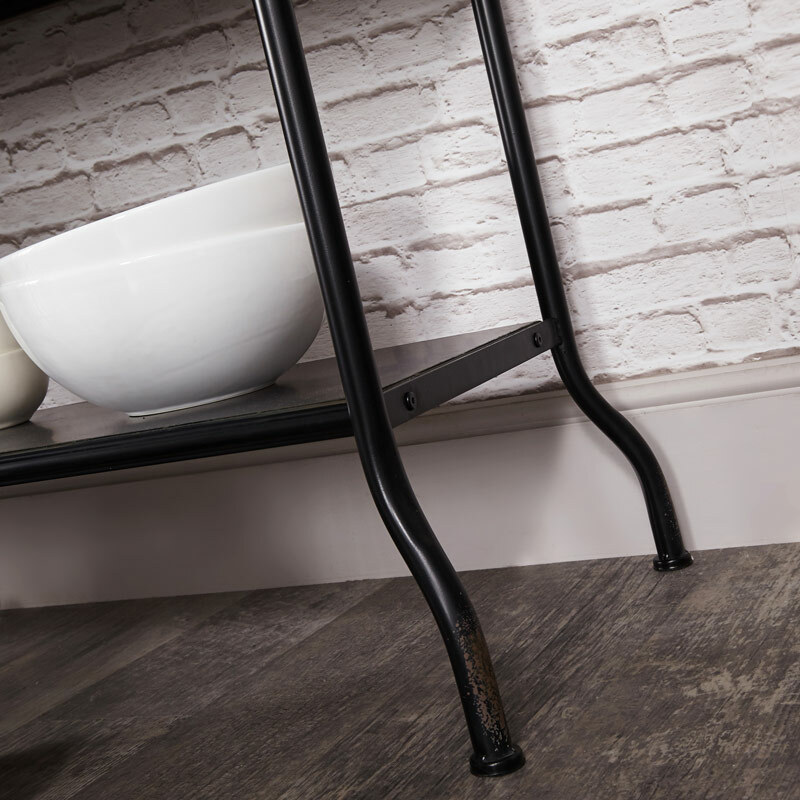 We have a large range of industrial furniture, whether your looking for bedroom, bathroom or living spaces. Just search 'Industrial' in our website.